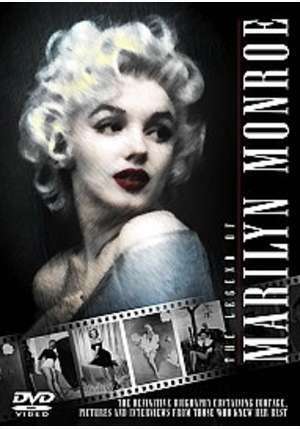 The Legend of Marilyn Monroe, produced in 1964, is still available on DVD today and remains one of the pioneering biographical works on the actress. Speaking in the 1990s, Wolper said that he believed the authentic quality of the documentary came from it having been made so soon after Monroe’s death, when the people close to her were still alive and their memories fresh. The DVD includes a 30-minute interview with Wolper and director Terry Sanders, looking back on the making of the film, which first aired on the ABC Stage 67 series in 1966, and was lauded at the Monte Carlo Festival of Television. Interviewees included Ida and Albert Wayne Bolender, Marilyn’s first foster parents; her schoolteacher, Mable Ellen Campbell; Marilyn’s first husband, Jim Dougherty; agents Emmeline Sniveley and Harry Lipton; photographers Tom Kelley and Milton Greene; actors Robert Mitchum and Shelley Winters; acting coaches Lee and Paula Strasberg, who inherited much of Monroe’s estate; and Marilyn’s last housekeeper, Eunice Murray, who was at her home when she died. A haunting score by Arthur Morton and the narration of John Huston (who directed Marilyn in two pivotal movies, The Asphalt Jungle and The Misfits) made the documentary unforgettable. While The Legend of Marilyn Monroe may not answer all the questions about Marilyn’s life and death, it is a very good place to start, and far more reliable than most of the copycat shows which followed. Wolper was not able to secure the co-operation of everyone in Monroe’s circle. Joe DiMaggio, her second husband, had arranged her funeral. While he was not involved in the documentary, he was later befriended by Wolper who often played golf with him. 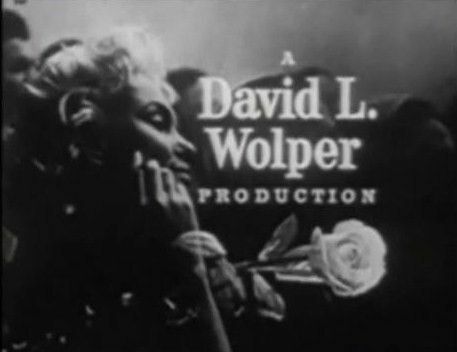 Though DiMaggio never talked publicly about Marilyn, his acceptance of Wolper suggests he approved of, or at least did not object to the documentary. Director Terry Sanders also approached Erwin ‘Doc’ Goddard, another of Marilyn’s foster parents. Though Goddard refused to appear in the film, it was through him that they discovered the white piano that had belonged to Marilyn’s mother, Gladys, and which Monroe had kept throughout her life. It was retrieved from a warehouse in New Jersey and used in the film as a poignant motif, rather like ‘Rosebud’, the sled in Citizen Kane. After The Legend of Marilyn Monroe, Wolper produced many more seminal documentaries, including The Rise and Fall of the Third Reich (1968) and The Unfinished Journey of Robert Kennedy (1970). By 1971, Wolper had established himself in Hollywood with the feature film, Charlie and the Chocolate Factory. Then in 1977 came his greatest success with the ground-breaking Roots, a dramatisation of Alex Haley’s bestselling novel which retold the saga of black America. Wolper revisited Marilyn’s story in 1980 for another TV mini-series based on veteran Hollywood screenwriter Garson Kanin’s novel, Moviola. Focussing on Marilyn’s rise to fame and her doomed romance with agent Johnny Hyde, This Year’s Blonde starred Constance Forslund and Lloyd Bridges. Kanin had first encountered Marilyn in 1950 when she tested for the film adaptation of his Broadway hit, Born Yesterday, a role made famous by Judy Holliday. ‘Those who saw it thought it was excellent,” Kanin recalled. “But Harry Cohn, the head of the studio (Columbia), did not trouble to take six steps from his desk to the projection room to look at her.’ In 1962, at the time of her death, Marilyn was working on Something’s Got to Give, a remake of Kanin’s earlier screwball comedy, My Favourite Wife (1940). Though Forslund’s performance as Marilyn was praised by critics, she did not become a major star. However, she has continued to appear on stage and screen, and was fleetingly glimpsed in a 2009 episode of E.R. Unfortunately, Moviola is not currently available on DVD, although used copies of the novel can still be found in online bookstores. During the 1980s Wolper continued to produce popular TV series like The Thorn Birds and North and South, as well as television coverage of the 1984 Olympic Games in Los Angeles. In 1997 he produced the Oscar-winning screen adaptation of James Ellroy’s crime novel, L.A. Confidential. Two years later, TV Guide named Wolper as one of the most influential people in television history. David L. Wolper died last week, aged 82, after suffering congestive heart disease and complications of Parkinson’s Disease. Appropriately enough, he passed away quietly while watching television with his wife of 36 years, Gloria. He will be buried privately at Forest Lawn, Hollywood Hills, with a public memorial to be arranged. The David L. Wolper Center is located in the Doheny Library at the University of Southern California, containing Wolper’s 50-year collection of papers, photographs, contracts, scripts, budgets, tapes and other memorabilia, available to students and the general public. I remember seeing this on TV back in ’64…and thoroughly enjoyed it!! it was great to see, as it had been only two years since her death…..the clips & interviews were really well done…….Now I have to get the DVD!! Wolper sure knew what he was doing!!! !